A clinic truly customized for participants. Kristi will email all riders to discuss each person’s reality and their romance (dreams) as it relates to their horse. The curriculum will then be developed to help each person move toward their romance. Whether you ride English or Western, you want to go trail riding or you have competition goals, you owe it to your horse to become a good trainer, psychologist, behavioralist and rider. 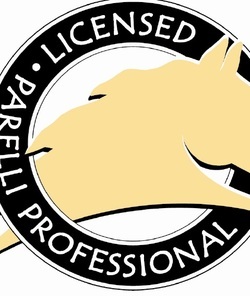 Parelli is the foundation for everything you want to do. R2R will help you get there. Please spend the week with us! Bring a notebook and lawn chair. Auditor fees will be donated to Freedom Farm. $25 per day or $100 for all 5 days. I am very excited about my R2R (Reality To Romance) Camp format. I will customize the curriculum specifically for the folks who sign up to ride with me! I will email you all to discuss what your reality and romance are. Then, I will develop a curriculum that is based on what you tell me. I am so excited to come to Kansas City!